A few years ago I found myself in the small city of Pleiku in the Central Highlands of Vietnam. I worked 12 to 14 hours a day, six to seven days a week, so any chance I had I would visit somewhere new in Vietnam. On one particular occasion, I found myself at a cemetery packed with tiny graves, not fully understanding their size. As I stared out at the sea of small graves, a man wearing camouflage cargo pants rolled up on an old motorbike. He noticed my camera and said, "Do you want to see some pictures?" "Sure," I said. He took out a stack of old photos - some in black and white and some in color - of unborn and born fetuses, and deceased babies. It was a grim, jarring, and eye-opening experience that I will never forget. 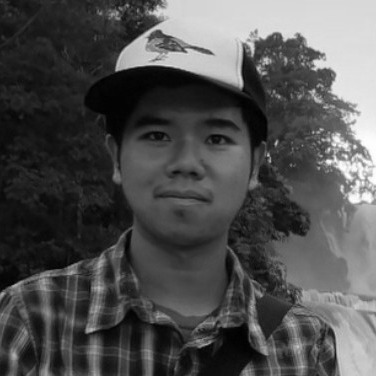 Years later I returned to Pleiku looking for the same man in order to document his story. Mr. Phung collects unborn babies and aborted fetuses from the various clinics around the city on his motorbike. 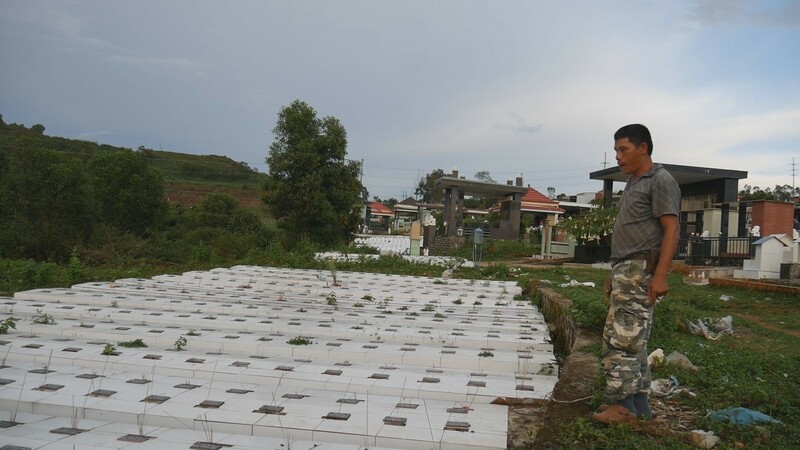 He's on call 24/7 to pick them up, and makes it his mission to give each and every one of them a burial when he brings them back to the Pleiku pediatric cemetery. He estimates that he has collected over 15,000 fetuses and babies over the years on his own. Mr. Phung doesn't make a salary from this job, but rather earns his living constructing other gravestones. On the side, he and his wife offer assistance for pregnant women as an alternative to abortion. When I first arrived, I stood by the altar amongst the rows and rows of gravestones. As I waited with his assistant Ms. Tam, Mr. Phung pulled up in the same style of cargo pants, riding the same bike as the first time I visited. His memory wasn't the clearest but he remembered me as the foreign guy. That was good enough for me. I asked him if I could film him doing his job. He agreed, but when I told him I wanted to go see the clinics he quickly brushed that idea aside. The clinics would never work with him again, he claimed, because many of them operate out of secrecy from the scrutiny of their patients. This made me consider the potential backlash of such a controversial job. In fact, Mr. Phung said there are people who tried to put him down and slander him. They claim he's crazy, they say he's got personal agendas, they undermine his work, and slam his lifestyle choices. But Mr. Phung isn't bothered by this. As he tells it, he just wants to focus on his job and let the higher powers judge him when the time comes. Mr. Phung was inspired to start his mission because prior to the establishment of the cemetery, unborn babies and fetuses were discarded in the streets where animals would eat them. Mr. Phung was moved by this, and immediately began collecting them for burial. Eventually word got out about his mission and hospital security guards or motorbike taxi drivers would bring them directly to Mr. Phung. He's since expanded his service and he, his son, and his friend retrieve them whenever there's a call. On my brief visit, there were five deliveries with three more on the way. Recalling the events and having such devastating imagery run through my mind makes me sad to consider all the potential lives. It's a very real situation that those who aren't directly affected by seldom think about. I don't want to pass judgement or enter the politics of pro life versus pro choice, but rather my goal was to document one man's amazing dedication. I'm glad there are people like Mr. Phung and Ms. Tam out there who fully dedicate themselves to a cause they believe in.